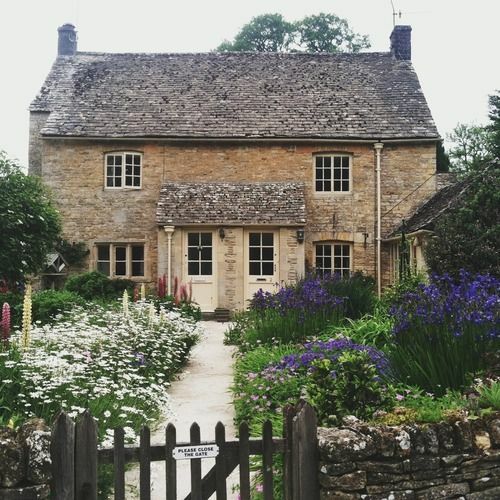 Dreamy meadows, pastel hues, sunny mornings sipping tea on a secluded porch. The cottage lifestyle is one of slow serenity, ensconced in the time honored comforts of home. Time moves a little slower. The light stays a little longer. The birds sing a little sweeter. 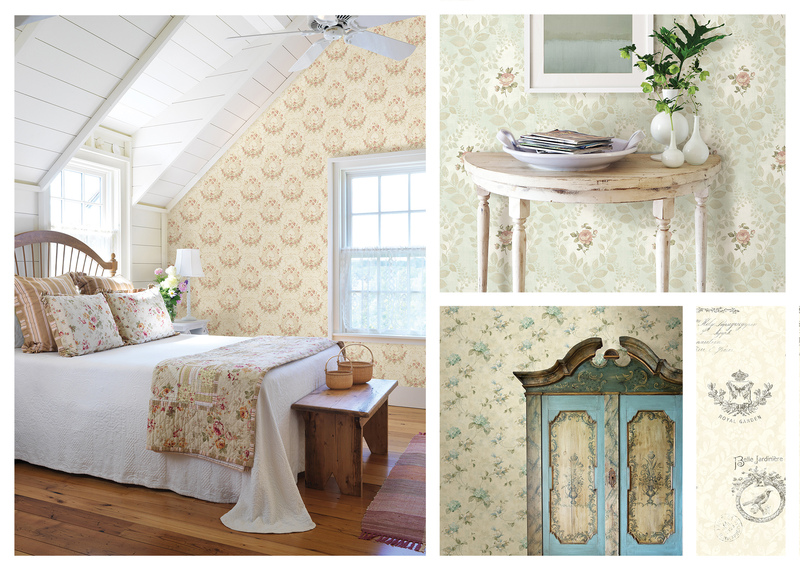 Our cottage style wallpaper is a memorable mix of old and new, where heirloom treasures harmonize with modern life. This beautiful assortment of fresh florals, vintage French prints, and shabby chic inspirations is full of picture perfect charm. 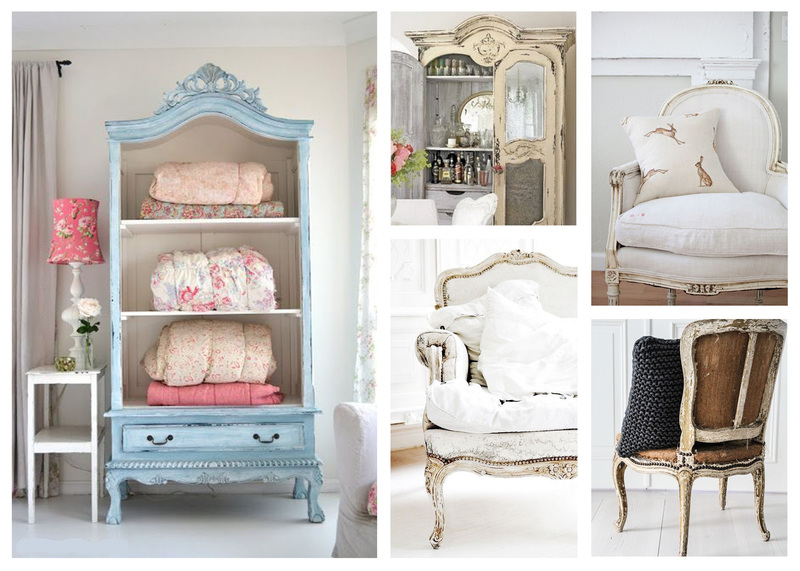 Antique statement furniture is a way to immediately set the tone for a room. You can decorate the entire space around one piece by making it a focal point, or by pulling in other items to match the style. Vintage accessories are an easy way to complete the look of a room. 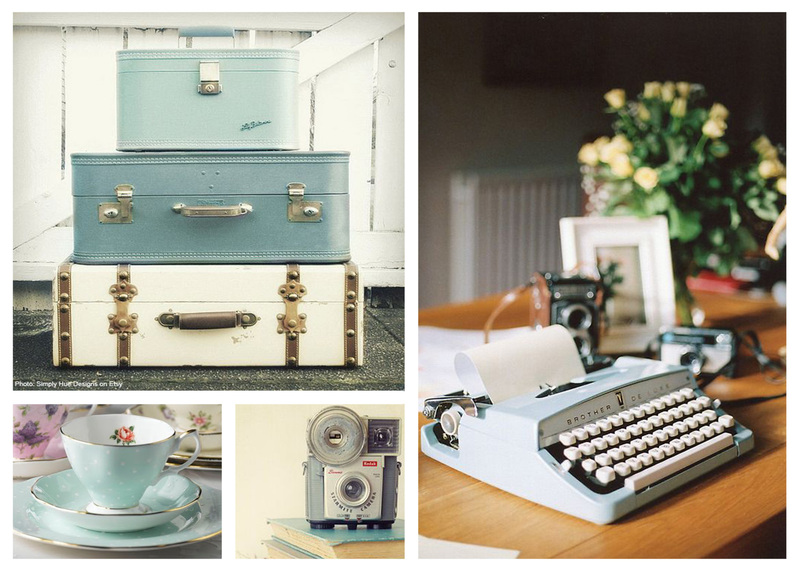 Classic cameras, delicate teacups, leather bound books, and antique suitcases add ambience and visual cues as to the mood of the room. A touch of whimsy and a hint of imperfection sets cottage style apart from French Provincial decor. One of the most impactful ways to give your home a country cottage makeover is with a beautiful wallpaper. Beautiful florals and toiles are classic patterns that will maintain their style for years to come. 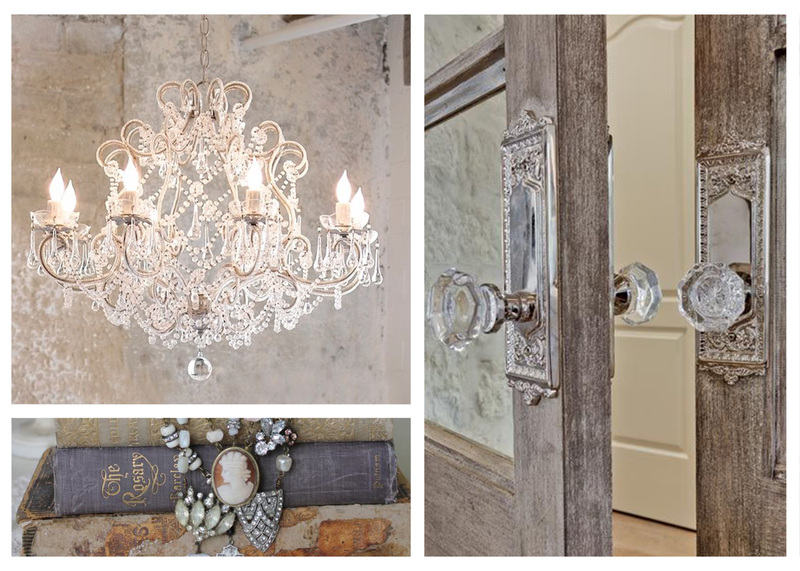 A crystal chandelier, a glass door knob, or a jeweled necklace carefully placed add just a touch of glamour. You can go as big or small as you like, just enough to catch the light. 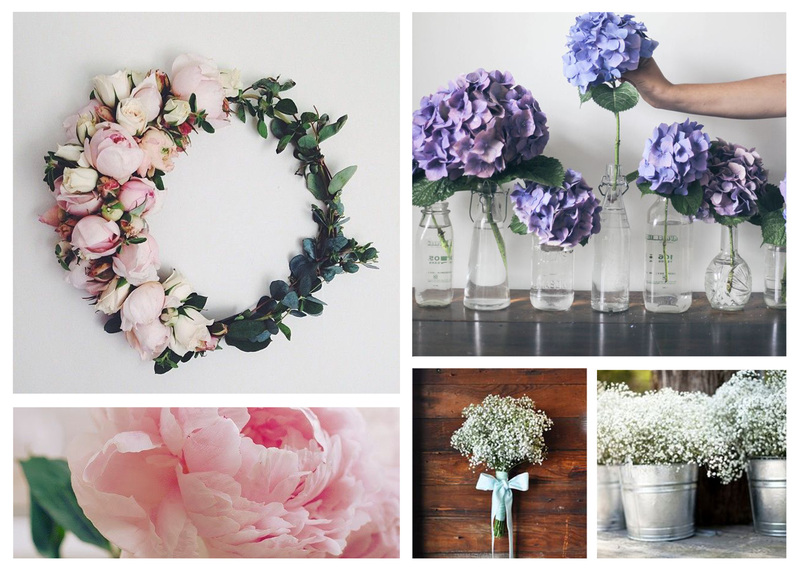 Not only will fresh flowers look beautiful, they’ll make your room smell amazing. Their aromatherapy properties will make for a relaxing environment, which is really what cottage style is about: enjoying the simple moments when the light filters through the window, when cookies come fresh out of the oven, when you have time to sit down and read the book you bought three years ago. Have a Glittering Gold Holiday!